Discover seven core leadership competencies for systemic change in schools, districts, and state education systems. Develop a creative, productive school culture. Based on their decades-long work in leadership, the authors offer seven core leadership competencies for systemic change in schools, districts, and state education systems. Discover targeted strategies to move past failed initiatives and overcome initiative overload, explore how to cultivate effective work practices, and gain the know-how to create enjoyable, innovative learning environments. Discover why its a good time to be an educational leader. Examine how leaders outside of education share common practices that have brought them success and how this can inform educators leadership practices. Study stories of district and school leaders who have broken out of confusing patterns of incessant initiatives. Consider the four wrong policy drivers and the four right policy drivers. Learn how to develop two-way partnerships with colleagues in order to cultivate a support network. “Michael Fullan and Lyle Kirtman provide the perfect antidote to compliance-based and external accountability-driven school and district leadership policies and practices. 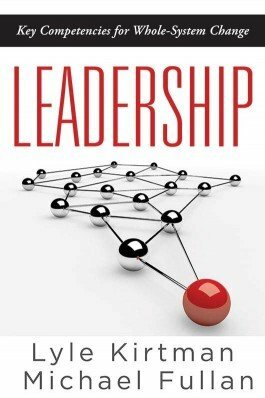 The authors masterfully integrate key leadership competencies and whole-system change strategies. Kirtman's core leadership competencies and Fullan's right drivers for whole-system change speak directly to what school and district leaders must do to both build and sustain continuous improvement and create the conditions for high-quality teaching and learning in all of our schools. “A must-read for school and district leaders who know how important it is to connect powerful ideas and concepts from research to the actual leadership strategies that make a difference in schools and districts. The authors provide a powerful conceptual framework for individual and organizational capacity building. The dozens of detailed descriptions of the work of actual school and district leaders are a bonus. These vignettes allow leadership practitioners to see main ideas in action. The book is chock full of system players and leaders who lead.